As you may know, there is quite a bit of effort going into studying meditation and mindfulness. We’ve written before about the benefits of meditation, and one of these benefits is that mindfulness and meditation practice can help alleviate depression. These studies were relatively small, and require further research to understand more deeply how meditation for depression effects individuals. The research on meditation and depression is relatively new, but there are a few interesting studies. There have been studies on the relationship between mindfulness and depression, as well as studies investigating other symptoms closely related to depression. First, we want to remind you that if you are experiencing symptoms of depression, to please reach out to a professional clinician or therapist. A 2010 meta-analysis looked at mindfulness-based therapy and its effectiveness at helping treat symptoms of mood disorders. When compared to more traditional therapeutic interventions, mindfulness-based interventions were significantly more effective at reducing symptoms. The researchers found a decrease in depression and more mood regularity. In the same study by Hofmann, et al., the research team also found that anxiety decreased in study participants. One interesting finding here was that symptoms of anxiety decreased in those with pre-existing anxiety disorders and those without pre-existing anxiety disorders. This suggests mindfulness may be helpful in decreasing anxiety whether or not you have a diagnosed anxiety disorder. According to Harvard Health, meditation can help combat insomnia. Sleep deprivation can worsen symptoms of depression. Meditation practice can help you fall asleep more easily and actually stay asleep better. There are also specific meditations for sleep you can try. In 2005, a study found that mindful movement practice may help increase self-esteem. Using Tai Chi, a form of moving meditation, women with breast cancer engaged in a course that lasted twelve weeks. The researchers found that self-esteem increased in study participants who took the mindful movement class at a significantly higher rate than those who did not. In 2012, Hofmann, et al. found that mindfulness-based treatments helped decrease feelings of loneliness. 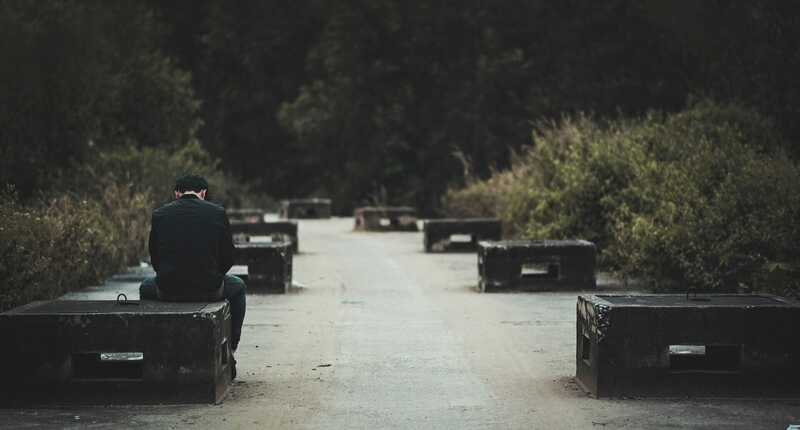 Even when individuals practiced on their own, they felt significantly less lonely after a mindfulness-based intervention. This was true whether the individual was alone during their day or they were surrounded by friends and family. If you’re interested in learning how to meditate, it can be hard to know where to start. There isn’t one best type of meditation for depression that we know of, but we do have a few suggestions. 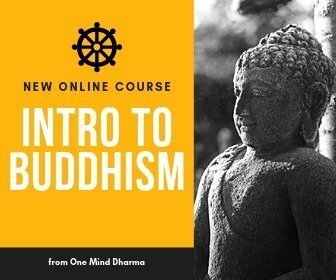 If you’re new to meditation, you can check out our page on Meditation Techniques for Beginners for more practices. You can also get our guide on Meditation for Beginners. Mindfulness of the body is a powerful practice to help us in difficult times. As you learn to recognize your experience in the body, you can bring awareness to what is arising before it overwhelms you. If you are feeling overwhelmed, mindfulness of the body can help you break it down and detach from the experience with love. There are many different ways to practice mindfulness of the body, but our favorite meditation for depression using the body is the body scan meditation. In a body scan practice, you move through the body slowly. Simply looking at each part of the body, you will see what is present and tune in with present-time awareness. Bringing your awareness to each individual part of the body allows you the opportunity to cultivate mindfulness and really be present. You can learn more about body scans on our page about body scan meditation, or enter your email address below to get a few free meditations to try! We all get lost in our thoughts, especially when experiencing depression. It’s unfortunately one of the symptoms of depression many people deal with. Although it may be difficult at first, learning to be mindful of the thought processes can help you detach from the thoughts arising. As you continue to watch the thoughts with the intention of cultivating mindfulness, you can allow thoughts to come and go without getting hooked in so strongly. In a mindfulness of thinking meditation practice, you will work on observing the thoughts as they come and pass. It takes practice, but with effort you can change your relationship to the thinking mind. Patiently waiting, see what thoughts are coming up, how they feel, and notice when they pass. You can read our post How Can I Block Negative Thoughts? for a more in-depth look at dealing with negativity in the mind. Enter your email address for free meditations mentioned here! Self-compassion is the practice of extending kindness and care toward our suffering. When you’re experiencing pain or suffering, you can re-train the mind to respond with a kind awareness. When feeling depressed, we tend to beat ourselves up, try to avoid the discomfort, or deny that it is present. Self-compassion practice allows us to meet the pain with tenderness and clarity instead of judgement or denial. If you’re interested in the heart practices and changing your relationship with yourself, you can check out our upcoming online class series Learning to Love Yourself. Finally, a good meditation for depression is loving-kindness. Although it may be difficult, loving-kindness is the practice of extending care and kindness toward yourself. You can think of loving-kindness as the quality of heart that cares for your own wellbeing. It may also be understood as a gentle friendliness toward yourself. With loving-kindness meditation, you can grow to care more deeply about your own wellbeing and the wellbeing of those around you. Loving-kindness practice is done in a similar fashion, with the use of phrases. By offering these phrases silently in your head to yourself, you are reconnecting over and over with the intention to care for yourself. Again, you’re not inviting something in from outside yourself. You’re working to slowly open the heart and let its natural love come through. You can learn more about metta on our page What is Metta?, and find loving-kindness practices on our page Loving Kindness Meditation – Cultivating an Open Heart. Below is a guided mindfulness meditation for depression you can try. This practice, known as vipassana, is a method of noting what is arising and bringing your attention to each experience. It takes time, is a practice, isn’t meant to be perfect all of the time. Allow yourself room to grow as you practice this mindfulness meditation.